Tweety Sculpture that we offer is designed by the practiced professionals. The Tweety Sculpture with its life-like make looks amazing. The cute Tweety Sculptures can be availed at affordable prices from us. 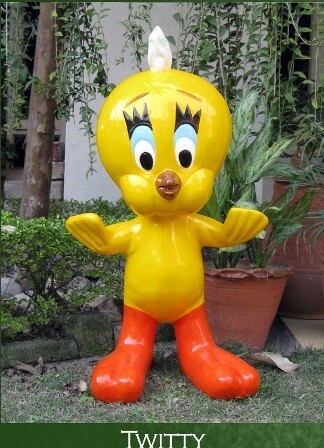 We are a well-known Tweety Sculpture Manufacturer and Supplier in Punjab (India).